RevelationGolf is a not-for-profit organization that uses the game of golf to enhance and develop a meaningful quality of life for cancer survivors, individuals with a physical disability and at risk youth – girls. We provide an environment that promotes one's uniqueness and encourages social, emotional and physical health while growing in the game of golf. Our Executive Director, Donna Strum, and Associate Director, Kathy Williams, have a passion for the game of golf and a nationally known expertise in helping those with physical disabilities to play the game of golf. Using clinical skills and golf fundamentals together in one approach, they have been able to help hundreds of people enjoy the game. We hope you, too, will join us and find your new beginning to a great game. We offer instructional clinics, short course events, and outings designed to help our golfers advance their skill level, while making any necessary modification to their set-up and swing. Donna Strum and Kathy Williams together, with other trained golf professionals help golfers get back into or take up the game, after an illness or injury. Instructional clinics/events are held at golf courses, driving ranges and golf facilities throughout the Chicago metropolitan area. 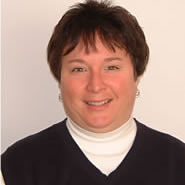 Donna, a clinical certified therapeutic recreation specialist, has worked in accessible golf for over 12 years developing the golf program for a rehabilitation hospital. She has worked with over 2000 individuals and provides educational workshops for golf professionals. 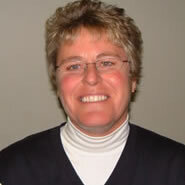 Kathy is an LPGA teaching professional who has worked with accessible golf for four years. She is an accomplished player, coach and teacher with many distinctions in her career and a member of the University of Minnesota Hall of Fame. Kathy also offers private instruction.